Prior to his appointment at TCNJ, Laprade served as the Visiting Director of Wind Ensembles at the University of Utah. He also serves as the Music Director of South Shore Conservatory’s Summer Music Festival in Hingham, MA. Laprade has conducted many of the nations premier wind bands, including The Eastman Wind Ensemble, The United States Army Band, “Pershing’s Own”, and the University of Michigan Symphony Band. Recent conducting engagements include a performance of Igor Stravinsky’s L’Histoire du soldat with the Duxbury Music Festival Chamber Players (Duxbury, MA). As a graduate student at the Eastman School of Music, he was a Frederick Fennell Conducting Fellow, Catherine Filene Shouse Arts Leadership Fellow, and recipient of the Walter Hagen Conducting Prize. During his time in residence at Eastman, Laprade was assistant conductor of the Eastman Wind Ensemble and Eastman Harmonie, and associate conductor of the Eastman Wind Orchestra. He served as assistant conductor on international tours to Europe and Canada, and was assistant producer on multiple wind ensemble recording projects. He taught undergraduate conducting and musicology, and served as a research assistant for the Institute for Music Leadership. While at Eastman, Laprade was a guest conductor for OSSIA New Music, the Rochester Music Hall of Fame, and Sunset Concerts. Laprade is passionate about nurturing the next generation of music educators. In 2016 he launched the South Shore Conservatory Music Educator Retreat, a summer professional development program for in-service music educators. Now in its third year, the program has engaged nationally acclaimed clinicians and attracted participants from across New England. Most recently, Laprade helped to launch the SMF Teaching Academy, a hybrid mentorship-internship program for pre-service music education students. 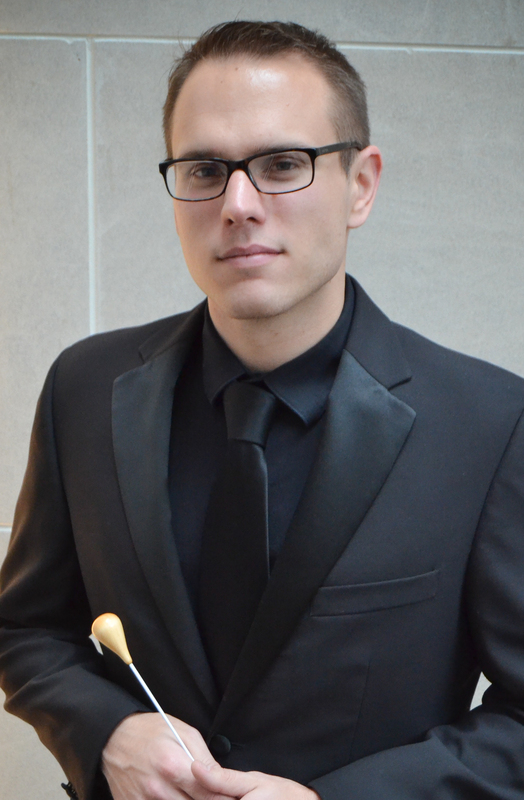 Laprade also has been a clinician at schools throughout the United States and has served as the guest conductor of the 2017 Massachusetts Music Educators Western District Senior Concert Band, 2017 Augustana College Honor Band (Sioux Falls, SD), and 2018 Massachusetts Music Educators Central District Junior Concert Band. Laprade has presented research on wind band history and artistic programming at the Massachusetts Music Educators Association Conference and the College Band Directors National Conference. His Doctoral Lecture Recital, “From Third Stream to New Streams,” focused on the roots of cross-over repertoire and modern artistic collaboration in Mihlaud’s La Création du monde. Laprade is a contributing author to the Eastman Case Studies series, having published cases profiling the Rhode Island Philharmonic Orchestra and Music School, Carnegie Hall, University Musical Society, the San Francisco Girls Chorus, and South Shore Conservatory. From 2008–13, Laprade was a music educator for the Randolph, MA public schools, where he served as the K–12 Music Department Chairperson. During his tenure he was named one of “40 Under 40 Emerging Leaders” by the South Shore Stars organization and is credited with implementing new curricula, forging strong partnerships with community organizations, and greatly expanding the program. Laprade is also the founding music director of the Randolph Community Band. Laprade holds degrees in tuba performance, conducting, and music education from the University of Michigan and the Eastman School of Music. During his undergraduate studies at Eastman, he was the recipient of the school’s prestigious Performer’s Certificate. His principal conducting teachers include Mark Davis Scatterday, Michael Haithcock, and Malcolm W. Rowell, Jr. He is a member of Pi Kappa Lambda and holds honorary memberships in Kappa Kappa Psi and Tau Beta Sigma. Laprade is a member of the College Band Directors National Association, National Band Association, National Association for Music Education, and the College Music Society.